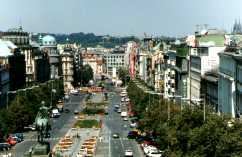 Looking down Wenceslas Square from the National Museum in the summer of 1994. 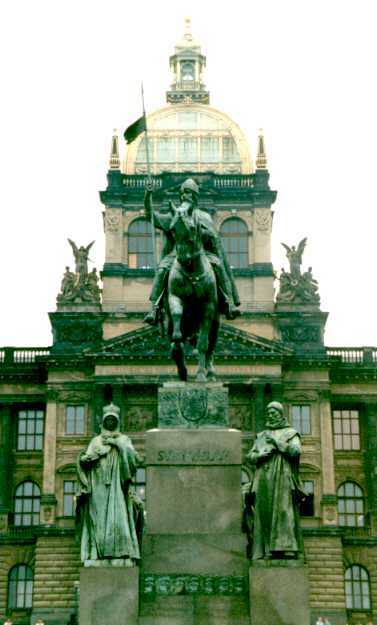 The statue of St.Wenceslas on his horse is front left. in front of the National Museum. is the Czech patron saint..
To the left is the Narodni Divadlo (National Theatre). Construction commenced towards the end of the 19th century. Unfortunately the building burnt to the ground just before it was officially opened. 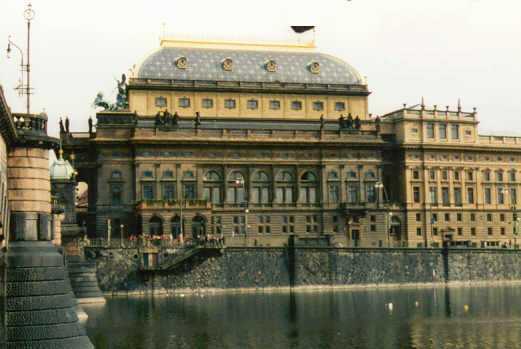 The Czechs raised the funds and built the whole thing again! 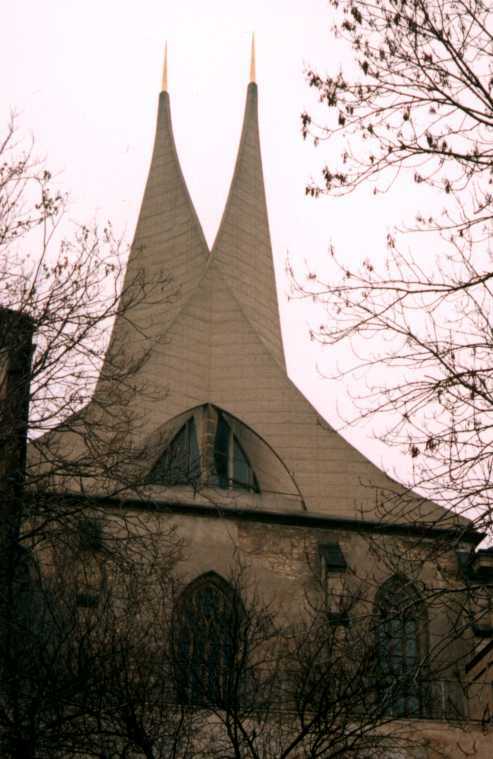 The Slavonic Monastery (dating from the 14th Century) was badly damaged in World War II causing it to lose its original spires. A post World War II reconstruction lead to its very modern replacements. 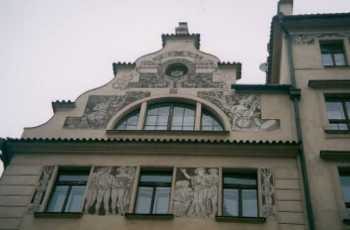 This modern building on the corner of Resslova and Masarykovo, by the Vltava caught my eye. 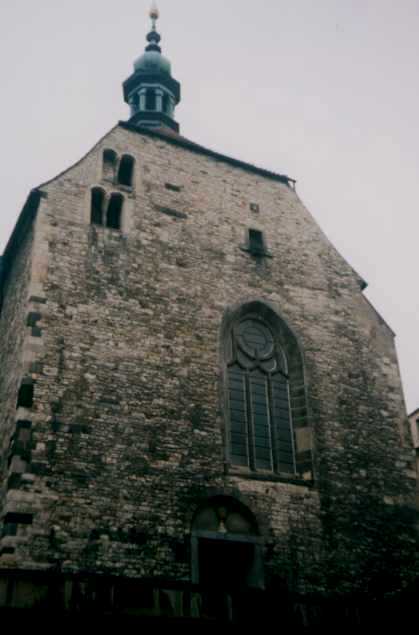 Since posting this photo on the web site I have had a number of people email me with details on the building. 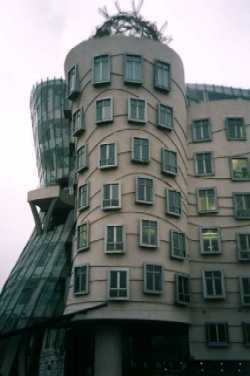 The ING Netherlands Bank Building designed by Frank O. Gehry and Vlado Milunic. 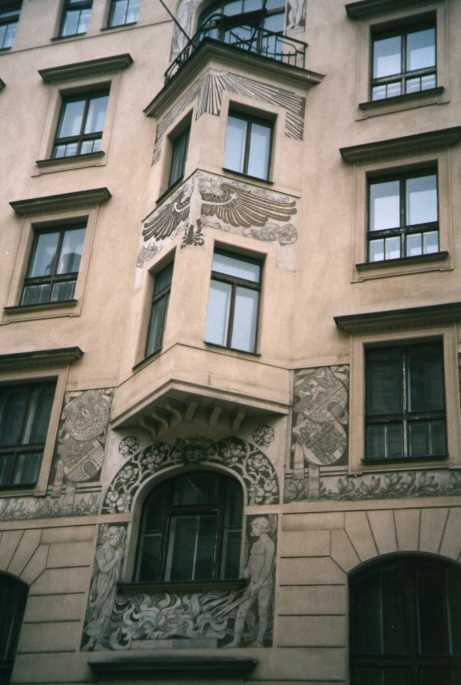 The building is next to the family house of President Havel (actually built by Havel's grandfather) who is supposed to have nicknamed it Fred & Ginger (it is supposed to resemble a couple ballroom dancing). 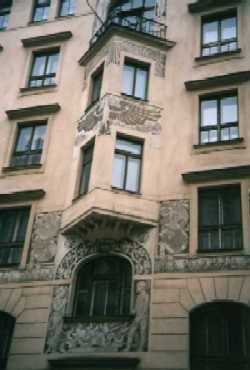 The original building on this corner was destroyed during World War II. Visit LAVA's Praha Experience page on the Fred and Ginger Building for some more pictures of this wonderful building. A big thank you to everyone who emailed! 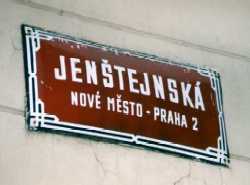 A street name sign in the New Town. These pictures (both left and below) are of a particularly striking building on Jenstejnska Street in the New Town. 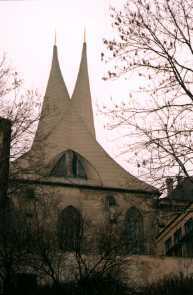 The church of St.Wenceslas (Sv Vaclav) which was built in the 1930s by Josef Gocar.